The True Cost of a Child Care System? Read more about The True Cost of a Child Care System? 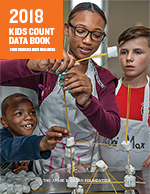 March Newsletter: Budget Season is BIG for DC Kids! Read more about March Newsletter: Budget Season is BIG for DC Kids!